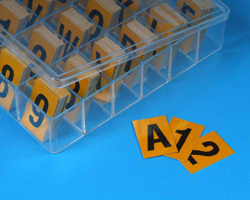 Determining which product is right for you depends on how and where the numbers and letters will be used. 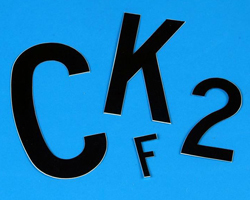 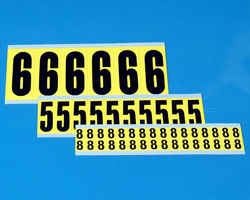 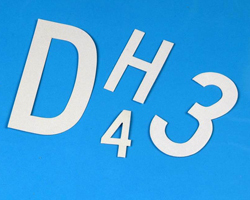 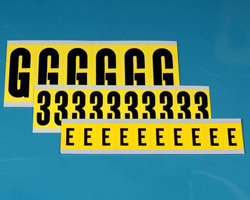 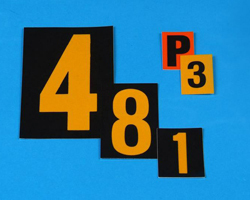 Stranco makes self-adhesive numbers and self-adhesive letters for both indoor and outdoor applications; plus reflective numbers and letters for low-light environments, magnetic numbers and letters for variable or short term marking, and die-cut numbers and letters for situations where a standard rectangular letter or number label is not appropriate. 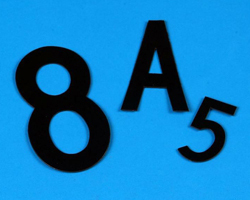 Contact Stranco Inc. customer service today and we’ll help you determine the right adhesive numbers and letters, reflective numbers and letters, magnetic numbers and letters, or die-cut numbers and letters for you and your application. 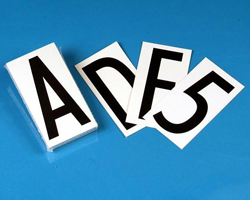 Click on the appropriate category below for specific information.